Brooke Montgomery Lessig was born July 28, 1912, in Pennsylvania, the son of Joshua Brooke and Florence (Montgomery) Lessig. He attended The Hill School and Pennsylvania Military College. Colonel Lessig received the Legion of Merit, the Bronze Star, the Presidential Citation, and Philippine Liberation Medal with four combat stars for his U.S. Army service during World War II. He served as a staff officer under General Douglas MacArthur in the southwest Pacific. He served as Vice President of the Mel Brooke Textile Company and Vanguard Air and Marine Corp., was an advisory board member of the Pennsylvania National Bank and Trust, and Secretary of the Citizens Bank and Trust Company of Pottstown. 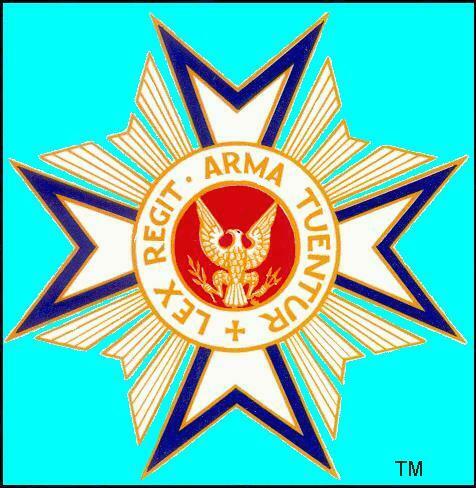 He was elected a member of the Pennsylvania Commandery of the Military Order of the United State (MOLLUS) (Insignia No.20412). He was the great-grandson of Colonel William Henry Lessig, 96th Pennsylvania Infantry, U.S. Volunteers, who was also an original member of the Pennsylvania Commandery of the MOLLLUS (Insignia No.489). He served as Commander of the Pennsylvania Commandery, Commander-in-Chief from 1971 to 1973, and was President of the Civil War Library and Museum in Philadelphia. Colonel Lessig had a long and distinguished record of civic service. He was chairman of the Montgomery County, Pennsylvania American Cancer Society and campaign chairman and board member of the American Cancer Society’s Philadelphia Division. He was a board member of the Child Mental Health Association of Montgomery County, Pennsylvania and Secretary of the Pottstown, Pennsylvania Memorial Medical Board. He was also a board member of the Armed Services Branch of the YMCA, Philadelphia, and of the Salvation Army of Pottstown. He was a member of the Pennsylvania Society of the Sons of the Revolution, and a member of the Color Guard; the Pennsylvania Sovereign Military Order of the Temple of Jerusalem; a board member of the Society of the War of 1812; the Colonial Society of Pennsylvania, Military Order of World Wars; Military Order of Foreign Wars; Reserve Officers Association of the U.S. Navy League; Society of the Sons of St. George; the Swedish Society of Pennsylvania; the Huguenot Society of Pennsylvania; the Valley Forge Historical Society; Montgomery County, Pennsylvania Historical Society; the English Speaking Union; and the Benjamin Franklin Post of the American Legion. Colonel Lessig also was a life member of the Union League of Philadelphia; the Merion Cricket Club; the Bachelors Barge Club; the Penn Club; the African Safari Club; the British Officers Club; the National Gavel Club, Washington, DC; the Racquet Club International; Brookside Country Club; and was Vice Commodore of the Moosehead Lake Yacht Club. He was a member of the First United Presbyterian Church of Pottstown. He was married to Inge Moser who preceded him in death. Colonel Lessig died December 13, 1980, at his home in Pottstown, Montgomery County, Pennsylvania. He was laid to rest at Pottstown East End Cemetery in Pottstown, Pennsylvania.